Make Old Creek Lodge your home away from home. we make sure our guests are provided with all the necessities for a great stay. Enjoy both comfort and convenience. like an outdoor heated pool, free on-site parking and more. Experience all the things to do in Gatlinburg. there are so many things to do just minutes from our Gatlinburg hotel. 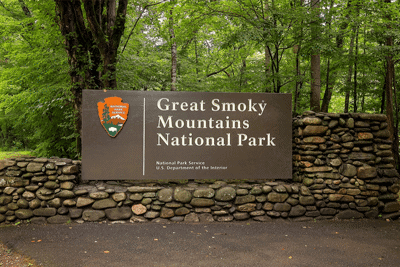 Support the Great Smoky Mountains National Park. Smokies clean and beautiful by adding $1 to your nightly bill. You may also donate more if you wish. Gorgeous rooms, amenities and a great location — we’ve got it all. Make your vacation memorable when you stay in our downtown Gatlinburg hotel. 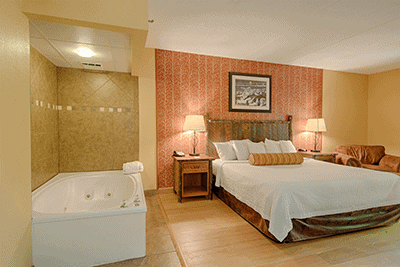 Our rooms are decorated in a rustic style, but provide top notch modern features. Some include living rooms with sofas and leather club chairs with rolled arms. We know you can pick any Gatlinburg hotel for your stay, but with amenities that include in-room Jacuzzi tubs, refrigerators, free continental breakfast, free WIFI, and an outdoor heated pool, you’ll soon realize you made the right choice with us! We were very satisfied with our stay. The room was very clean and the staff was very friendly. The location was perfect for walking and joying the attractions in Gatlinburg but far enough off the main road to keep the noise level down. This place was a great place to stay in Gatlinburg. It’s wonderfully decorated with a great Smokey Mountain feel. It’s conveniently located in walking distance to everything you could want to do, which was a huge plus for us. The rooms were very clean and pleasantly decorated. We loved looking out off of the balcony and seeing the mountains and the stream below. We were super happy with how good this place is for the price. We were not disappointed and will be going back again. Loved the location which was within easy walking distance of everything on the strip. Close to many good food choices. Room was clean a good size and comfortable. Loved being able to open the door to the balcony and hearing the creek at night. staff was very friendly. Just an overall great experience. in fact it was so great we’ve already rebooked for our next trip just a week away. I stumbled across this place by accident and I am so glad I did. Look no further this is the perfect place to stay. Close enough to walk to the main strip but far enough away to enjoy the peacefulness. Our downtown Gatlinburg hotel is the best place to stay. 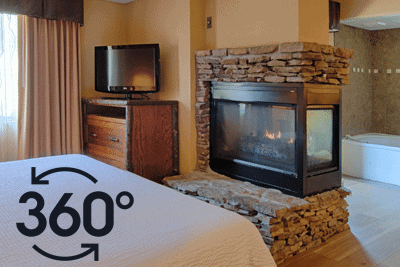 Our affordable accommodations, convenient location and spacious guest rooms make the Old Creek Lodge the best hotel in Gatlinburg for your vacation. 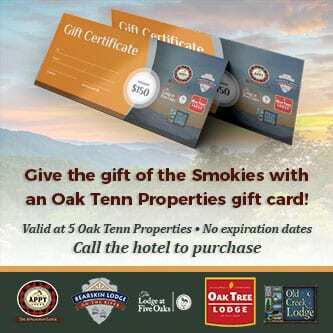 Our specials and discounts make having an affordable vacation in the Smoky Mountains easy. Take advantage of our specials to save on your stay. Our Gatlinburg hotel sits near the entrance to the Great Smoky Mountains National Park, where you can go hiking, go fishing, enjoy a picnic and more. We have gorgeous guest rooms that you have to see for yourself to believe it’s true. Take virtual tours of each of our rooms to see them in 3-D.
You’re just steps away from all the excitement Gatlinburg has to offer. Come experience the best of Gatlinburg when you stay at Old Creek Lodge.